Oppo at an event on Monday launched its latest mid-range smartphone the Oppo F7 with an iPhone X like notch on the front display. The notch on the front is being really popular these days. Huawei also seems to be following the same trend with its upcoming P20 and P20 Pro smartphones, both these smartphones will also feature an iPhone like notch. Recently launched Vivo V9 also has a notch on the front. Talking about some other highlights of the Oppo F7, the smartphone packs components like the front camera, earpiece, and proximity sensor placed into the notch. The Oppo F7 sports a bezel-less design with sporting a 6.23-inch Full-Screen 2.0 display with a 19:9 aspect ratio. Other key specifications include a 25-megapixel front camera with real-time HDR, AI Beauty 2.0 app, Android 8.1 Oreo, and the App-in-App multi-tasking feature. 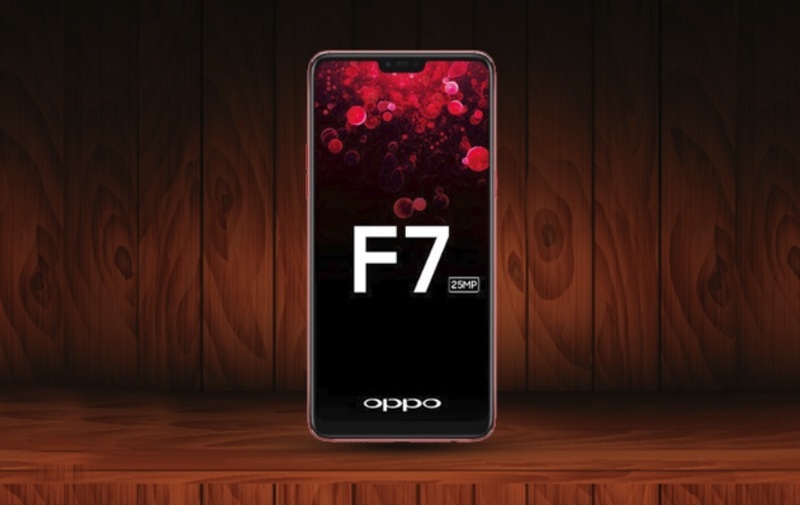 The Oppo F7 has been priced in India at Rs. 21,990, and it will be available to buy via online and offline stores from April 9 in Solar Red and Moonlight Silver color variants with 4GB RAM and 64GB of inbuilt storage. The company has also launched special edition variants, called the Oppo F7 Diamond Black and Oppo F7 Sunrise Red, which feature 6GB of RAM and 128GB of inbuilt storage, and have been priced at Rs. 26,990. The special edition variants will only be available via select Oppo stores.